Talking about how he can contribute to the side, Shankar said he wants to keep himself flexible. After an impressive display in the T20I series which India lost 2-1, Vijay Shankar is definitely staring at a brighter tomorrow keeping World Cup selection in perspective. The all-rounder looked very positive with the bat and was definitely over the Nidahas Trophy final debacle. 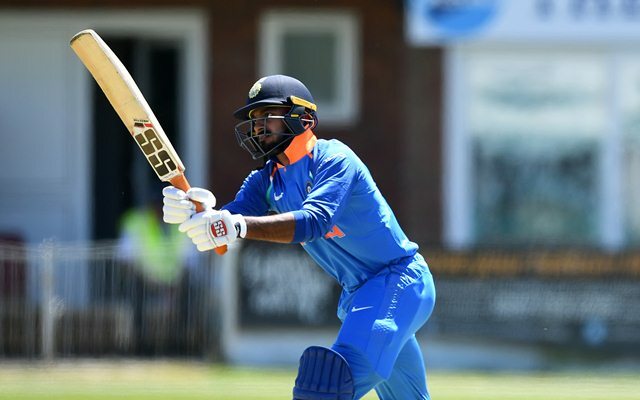 Not many spots are left vacant as the likes of Ambati Rayudu, Hardik Pandya, Kedar Jadhav, and Ravindra Jadeja pretty much confirmed their places in the final 15 with recent performances despite some doubts being raised. It won’t be easy for the Tamil Nadu man to barge in, but he does have a fair shot at the dice. He lauded the legendary MS Dhoni after the game and said he looks up to him. “For someone like me, I try and learn from watching each and every player we have in our team because everyone has done something in the past and they have won matches for the team especially Dhoni, who has done a lot for the team. I definitely look up to him,” Shankar said as quoted in India Today. Talking about how he can contribute to the side, Shankar said he wants to keep himself flexible to bat at any position and bowl under any circumstances. He reckons to perform consistently from here on is the only way he can keep pushing. India are next scheduled to play a two-match T20I and a five-match ODI series against Australia, which starts later this month and Pandya would be keen to get some substantial performances under his belt, provided he gets selected for the limited-overs series.